This week on the Authentic Influencer Podcast we’re talking about building a brand around yourself. So often, we can find ourselves constantly elevating a product, in an attempt to make more sales. People want to trust that you have their best interest in mind. You are partnering with them to create a better life, not just monetizing their real needs. When we help others find solutions, even if it isn’t our product, we are more likely to gain a following of people who will be ready to listen when our product is actually the best fit. When we are in this position, the products become secondary. If the company you are selling for doesn’t align with your passion, it might be time to find a different company. We have gotten on the phone for so many consultations with people who realize that the problem with their business isn’t that they aren’t good at selling, but that they are attempting to sell the wrong thing! Does the company you sell for promote the lifestyle, values, priorities, passion that you uphold in your personal life? Our first challenge for you this week is to do an audit of your last 10 posts on Facebook. Were you selling yourself or your product? Take some time to practice reframing those posts. How could you post in a way that will position you as an expert, instead of just pushing a product? Find one influencer in your circle that consistently causes you wonder, “Where did she get that?” The people who do the best at selling their products aren’t constantly pushing you towards the product. They draw you in, and build trust with you. 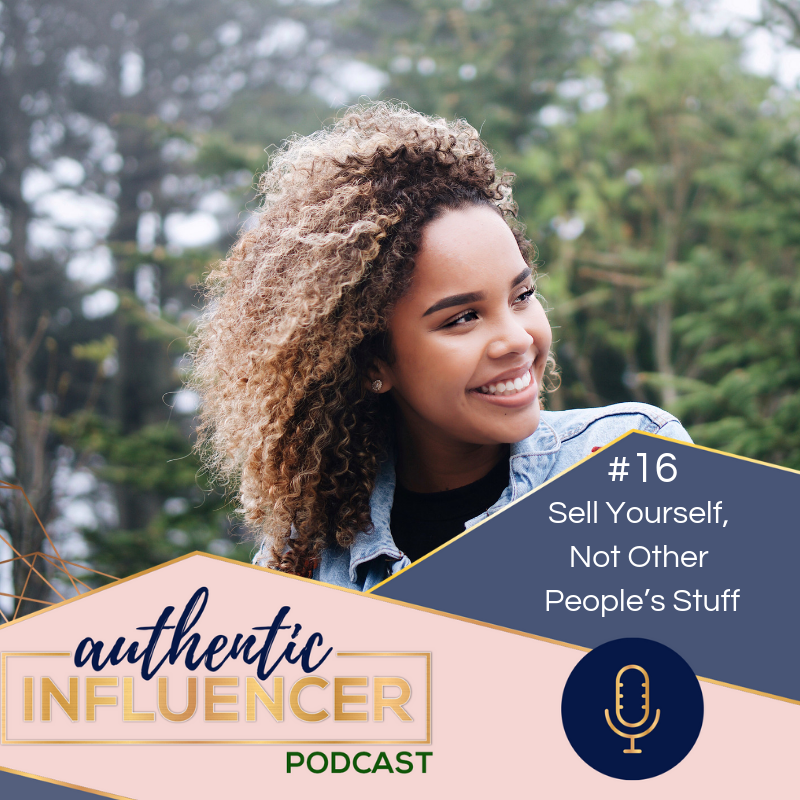 Listen in to learn more about building your brand, gaining the trust of others, and selling yourself! If you are ready to stop living in scarcity and have the wealth you’ve always wanted, check out www.socialtenacity.com/gift and get a free gift just for listening!